Cypress Bend is a beautifully maintained pet friendly community in a location central to the best things in South Florida. Mature trees and landscaping make this community, dotted with lakes, trees, a modern and natural oasis. This site is protected by copyright and trademark laws under US and International law. All rights reserved. 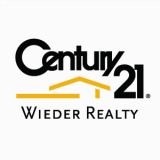 ©2008-2012 Wieder Realty, Inc.